Alexander Emerick “Alex” Jones (born February 11, 1974) is an American radio host, author, and documentary filmmaker. His syndicated news/talk show The Alex Jones Show, based in Austin, Texas, airs via the Genesis Communication Network on over 70 AM, FM, and shortwave radio stations across the United States and on the Internet. His websites include Infowars.com and PrisonPlanet.com. As of January 2012, his YouTube channel, InfoWars, garnered over 250 million views. Jones was born on February 11, 1974 in Dallas, Texas, and grew up in the suburb of Rockwall. His father is a dentist. He attended Anderson High School in northwest Austin, Texas. Jones was a lineman on his high school’s football team. As a teenager, he read Gary Allen‘s None Dare Call It Conspiracy which strongly impacted him, and which he calls “the easiest-to-read primer on The New World Order”. After high school, Jones attended Austin Community College. He began his career in Austin with a live call-in format public-access television cable TV program. In 1996, Jones switched format to KJFK, hosting a show named The Final Edition. During this time, Ron Paul was running for congress and was a guest on Jones’ show several times. The two share many beliefs and have been friends since then. In his early shows, he frequently talked about his belief that the US government was behind the 1995 Oklahoma City bombing, using the incident to put down a growing “states rights movement. In 1998, he released his first film, America Destroyed By Design. In 1998, Jones organized a successful effort to build a new Branch Davidian church as a memorial to those who died during the 1993 fire that ended the government’s siege of the original Branch Davidian complex near Waco, Texas. He often featured the project on his public-access television program and claimed that David Koresh and his followers were peaceful people who were murdered by Attorney General Janet Reno and the ATF during the siege. In 1999, he tied with Shannon Burke for that year’s “Best Austin Talk Radio Host” poll as voted by The Austin Chronicle readers. Later that year, he was fired from KJFK-FM for refusing to broaden his topics, his viewpoints making the show hard to sell to advertisers, according to the station’s operations manager. Jones argued: “It was purely political, and it came down from on high”, and, “I was told 11 weeks ago to lay off Clinton, to lay off all these politicians, to not talk about rebuilding the church, to stop bashing the Marines, A to Z.” He began spreading his show via internet connection from his home. In early 2000, Jones was one of seven Republican candidates for state representative in Texas House District 48, an open seat swing district based in Austin, Texas. Jones stated that he was running “to be a watchdog on the inside”, but withdrew from the race after a couple of weeks. In 2001, his show was syndicated on approximately 100 stations. 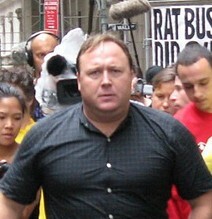 After the 9/11 terrorist attack, Jones began to speak of a conspiracy by the Bush administration as being behind the attack, which caused a number of the stations that had previously carried him to drop his program. Mainstream sources have described Jones as a conservative, a right-wing conspiracy theorist, and a libertarian. Jones see himself as a libertarian and rejects being described as a right-winger. He has also called himself a paleoconservative and an “aggressive constitutionalist“. The Southern Poverty Law Center Intelligence Files assert that he has “exploit[ed] racial animosities” to “appeal to the fears of the antigovernment Patriot movement“. Jones has been the center of many controversies, such as the one surrounding his actions and statements about gun control after the Sandy Hook Elementary School shooting, and has accused the US government of being involved in the Oklahoma City bombing and September 11 attacks. Jones was in a “media crossfire” in 2011, which included criticism by Rush Limbaugh, when the news spread that Jared Laughner had been “a fan” of the 9/11 conspiracy film Loose Change, of which Jones had been an executive producer. In January 2013, Jones was invited to speak on Piers Morgan‘s show after promoting an online petition to deport Morgan due to his support of gun control laws. The interview turned into “a one-person shoutfest, as Jones riffed about guns, oppressive government, the flag, his ancestors’ role in Texan independence, and what flag Morgan would have on his tights if they wrestled”. The event drew widespread coverage, and according to The Huffington Post, Morgan and others such as Glenn Beck “agreed that Jones was a terrible spokesman for gun rights”. Jones’ appearance on the show was a top trending Twitter topic the following morning. The Alex Jones Show syndicated radio program is broadcast nationally by Genesis Communications Network to more than 70 AM and FM radio stations in the United States, and to WWCR Radio shortwave. Live-broadcast times are weekdays 11:00 a.m. to 2:00 p.m. CST and Sundays from 4:00 to 6:00 p.m. CST. The Sunday broadcast is also broadcast by Emmis Communications’ KLBJ Radio. As of 2010, he was estimated to have an audience of over 2 million listeners, with a demographic heavier in younger viewers than other conservative pundits. In 2011, he had a larger on-line audience than Glenn Beck and Rush Limbaugh combined. Author Will Bunch says that Jones was in part a model for Glenn Beck who “synthesized” some of the paranoia of Jones’ commentaries into his persona. Jones is also the operator of several web sites centered on news and information about civil liberties issues, global government, and a wide variety of current events topics. Several of these sites are www.infowars.com, www.prisonplanet.tv, www.prisonplanet.com, and www.jonesreport.com. He has been able to mobilize his followers to create “Google bomb” actions that bring particular terms to the top of search engine listing, a tactic which has then inspired other online media, such as The Drudge Report to cover the story. Alex Jones and fans at the Première of A Scanner Darkly, an animated film by Richard Linklater in which Jones has a voice credit. ^ List of Alex Jones Radio Show Affliated Stations. ^ “The Alex Jones Show”. Tune In. Retrieved 13 January 2013. ^ a b “Alex Jones’ pro-gun tirade at Piers Morgan on British presenter’s own show”. The Guardian. Retrieved 10 January 2013. ^ a b c d Zaitchik, Alexander (2011-03-02). “Meet Alex Jones, the Talk Radio Host Behind Charlie Sheen’s Crazy Rants”. Rolling Stone. Archived from the original on 29 March 2011. Retrieved 2011-03-24. ^ a b Stahl, Jeremy (September 6, 2011). “Where Did 9/11 Conspiracies Come From?”. Slate. Retrieved September 11, 2011. ^ “Alex Jones Radio Show: Jones says the US used fake footage in Moon landings”. Retrieved 2013-02-11. ^ “Alex Jones Radio Show: Jones says NASA covering up thousands of dead astronauts”. Retrieved 2013-04-20. ^ Alexander Zaitchik (March 2, 2011). “Meet Alex Jones”. Rolling Stone. Retrieved 24 February 2013. ^ Jones, Alex. Coast to Coast AM. January 27, 2007. ^ “Meet Alex Jones”. Rolling Stone. Retrieved 10 January 2013. ^ Howard Stern Radio Show, February 26, 2013. ^ a b c d Nichols, Lee (December 10, 1999). “Psst, It’s a Conspiracy: KJFK Gives Alex Jones the Boot Media Clips”. The Austin Chronicle. ^ a b “How Radio Host Alex Jones Has Cornered the Bipartisan Paranoia Market — New York Magazine”. New York. Retrieved 11 January 2013. ^ a b c d “Meet Alex Jones”. Rolling Stone. Retrieved 10 January 2013. ^ Kay, Jonathan (2011-05-17). 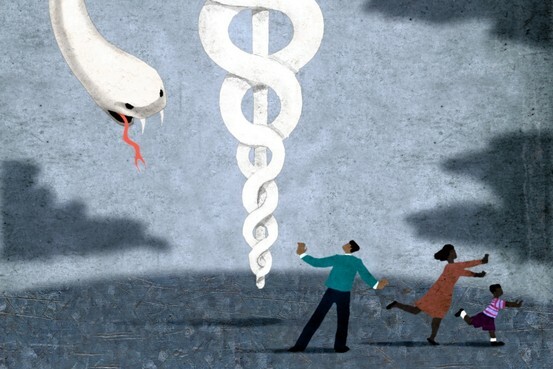 Among the Truthers: A Journey Through America’s Growing Conspiracist Underground. HarperCollins. pp. 26–. ISBN 9780062004819. Retrieved 11 January 2013. ^ Connie Mabin (April 19, 2000). “Branch Davidians hope a new church can close wounds”. The Independent (UK). Associated Press. Retrieved January 29, 2011. ^ Scott S. Greenberger (January 4, 2000). “Nine to seek Greenberg’s House seat” (fee required). Austin American-Statesman. p. B1. ^ Payton, Laura (2006-06-08). “Bilderberg-bound filmmaker held at airport”. The Ottawa Citizen. Retrieved 2007-08-13. ^ Grace, Melissa; Xana O’Neill (2007-09-09). “Filmmaker arrested during city protest”. Daily News (New York). Archived from the original on 13 October 2007. Retrieved 2007-09-10. ^ Norman, Tony (2009-08-14). “A nutty way of discussing health care”. Pittsburgh Post-Gazette. ^ Gosa, Travis L. (2011). “Counterknowledge, racial paranoia, and the cultic milieu: Decoding hip hop conspiracy theory”. Poetics 39 (3): 187. doi:10.1016/j.poetic.2011.03.003. Retrieved 2011-07-11. ^ Roddy, Dennis B. (April 10, 2009). “An Accused Cop Killer’s Politics”. Slate. Retrieved July 23, 2009. ^ Rosell, Rich (27 November 2006). “Dark days, the Alex Jones interview”. digitallyobsessed.com. Archived from the original on unspecified. ^ “590 KLBJ Hosts and Shows”. Retrieved 2010-12-13. ^ “Roanoke man charged with making online threats”. Retrieved 2010-12-13. ^ “Alex Jones – Southern Poverty Law Center”. splcenter.org. Retrieved 2012-11-25. ^ a b ALEXANDER ZAITCHIK (March 2, 2011). “Meet Alex Jones”. Rolling Stone. Retrieved 10 January 2013. ^ a b c “Piers Morgan vs. Alex Jones feud: helping or hurting gun control? (+video) – CSMonitor.com”. The Christian Science Monitor. Retrieved 10 January 2013. ^ “Piers Morgan: Alex Jones ‘Terrifying,’ A Perfect ‘Advertisement For Gun Control'”. The Huffington Post. Retrieved 9 January 2013. ^ “Social media abuzz over Piers Morgan vs. Alex Jones – CNN.com”. CNN. Retrieved 10 January 2013. ^ “Meet Alex Jones | Politics News | Rolling Stone”. Rolling Stone. Retrieved 10 January 2013. Millions of Americans will pay more for health insurance, lose their coverage, or have their hours of work cut back. Mr. Kessler is a professor of business and law at Stanford University and a senior fellow at the Hoover Institution. 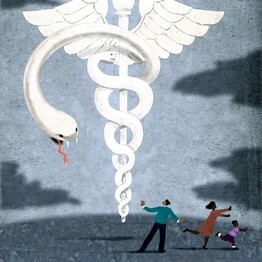 A version of this article appeared April 30, 2013, on page A17 in the U.S. edition of The Wall Street Journal, with the headline: The Coming ObamaCare Shock.